Thanks to everyone who rushed to our aid during our recent request for funding. I am sorry if I scared anyone. I should have stressed that the Usher Syndrome Coalition is not going anywhere! It’s really just a question of the depth of services we will be able to provide the community. We are going to be there to respond to all requests. It’s just a question of if we are going to respond immediately or eventually? We are going to continue to be the center of the Usher syndrome community. It’s just a question of if we are going to be able to reach out to the community or are we going to have to wait for the community to reach out to us? And we will continue to be the primary source of information for those with Usher. It’s just a question of if we are we going to hold both in-person and online forums or are we going to be forced to choose between them? The point is, we will be here for the community regardless. And this call for funding only underscored the need for the Coalition. 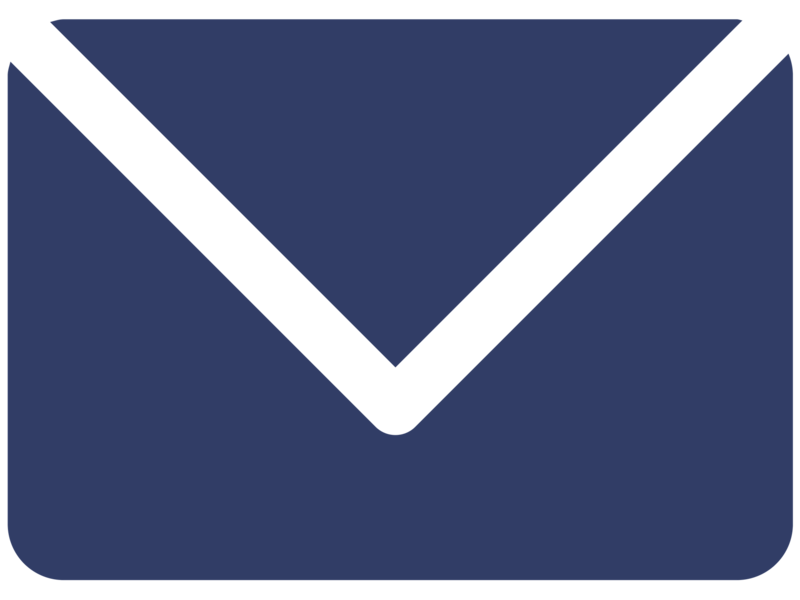 I received emails from as far away as South Africa and India, from people with Usher syndrome and little else, offering whatever they had to the Coalition. These are folks that often face tremendous financial and emotional hardship in parts of the world where services are scarce and discrimination is not. They rely on the Usher Syndrome Coalition, on this Usher syndrome community, for friendship, information, and hope. And thanks to the outpouring of support from you, we will continue to be there for them. 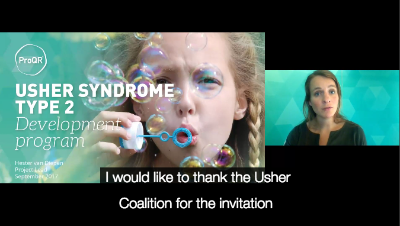 Our latest USH Talks include research developments in USH2A and USH1B from Usher syndrome experts across the globe. Stay tuned for new USH Talks and more research updates! ProQR Usher Syndrome Type 2 Development Program | October 3, 2017: In this USH talk, Dr. Hester van Diepen provides an overview of the Usher development program at ProQR Therapeutics as an approach for possible future treatment of USH2A-associated retinitis pigmentosa. Gene Therapy for MYO7A USH1B | June 27, 2017: This USH Talk from Dr. Shannon Boye summarizes efforts to develop a dual AAV vector-based gene therapy for Myosin7a Usher syndrome (USH1B). The drawbacks of USH1B mouse models and a rationale for testing these vectors in a more clinically relevant species are discussed. Genetic Testing: the USH2A Gene | May 30, 2017: This USH Talk from Dr. Hannie Kremer explains genetic testing of the USH2A gene, as conducted at the Radboud University Medical Center in Nijmegen, Netherlands. All USH Talks: View our full USH Talk Library on our website, or search all USH Talk text and audio on Panopto. In collaboration with the Usher Syndrome Society, each What's New with USH newsletter will feature a member of the Usher syndrome community, our incredible USH Family. This month's spotlight is on Ava Bullis from New Jersey. Ava is an 11-year-old girl with Usher syndrome type 1B. Ava was born profoundly deaf at birth and is slowly going blind. Although Ava benefits from the use of her cochlear implants and a cane during the day, she is completely blind by night and communicates using tactile ASL alphabet and touch signals. 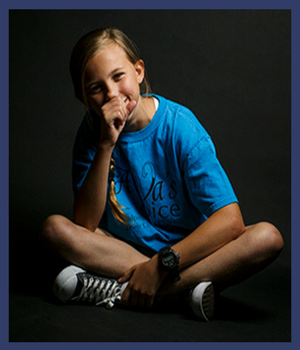 Ava spends her free time sharing her story publicly through her mom's nonprofit, Ava's Voice, to advocate for all children with hearing and/or vision loss, especially those who may not have the ability to communicate on their own. She also enjoys meeting new parents to provide comfort and hope as their babies are newly diagnosed. This photo is part of a series taken by New York Times photojournalist Evan McGlinn, on behalf of the Usher Syndrome Society and their Shine A Light On Usher Syndrome campaign to bring public awareness and funding to Usher syndrome. 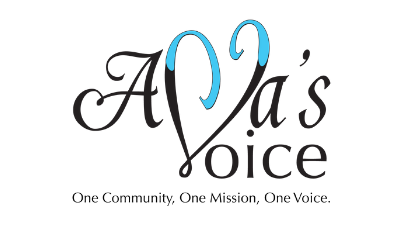 The Usher Syndrome Coalition thanks Ava's Voice for supporting the Coalition's participation in the first-ever Network of the Americas Conference, hosted by Deafblind International and Perkins School for the Blind, April 15-18, 2018 on Cape Cod, Massachusetts. 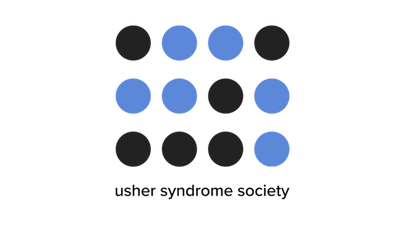 This webinar recording, "Educational Considerations for Students with Usher syndrome," from the National Center on Deaf-Blindness (NCDB) is now available. The Usher Syndrome Coalition estimates that there are more than 7,000 children with Usher syndrome in the United States. Yet in 2015, the state deaf-blind projects reported that roughly 300 children with Usher syndrome were served. Where are these students being educated? And are their educational needs being adequately met? 27 DOWN, 73 TO GO! This Giving Tuesday, become a monthly donor. Thanksgiving is fast approaching in the U.S. That means the global day of giving is almost here! After a weekend busy with eating, visiting and shopping, Tuesday, November 28th is dedicated to Giving. This Giving Tuesday, sign up for a monthly donation to the Usher Syndrome Coalition. 27 generous donors currently give at least $10 a month to the Usher Syndrome Coalition. (Shout out to our amazing monthly supporters!) Let's get to 100 recurring donations by the end of the day on Giving Tuesday! All you need to do is check the box to "Make this a monthly donation payment" when submitting your online donation. 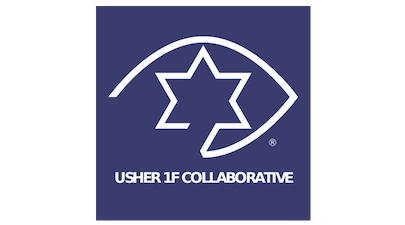 As a monthly supporter, you are ensuring that EVERYONE in our Usher community has access to the connections, information and hope that the Coalition provides. Shop for everyone on your gift list this holiday at smile.amazon.com and Amazon will donate a percentage of your purchase to the Usher Syndrome Coalition. AmazonSmile is a simple and automatic way for you to support the Usher Syndrome Coalition every time you shop, at no cost to you. 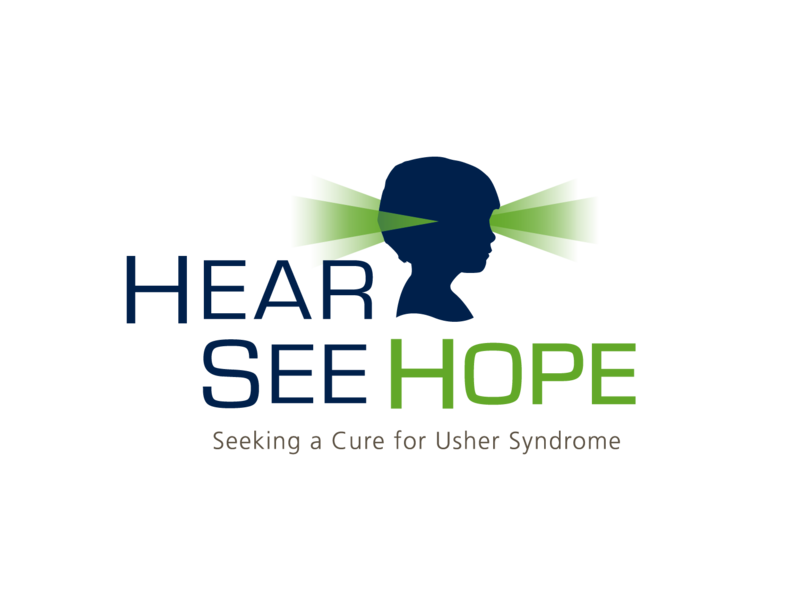 Be sure to bookmark this link and select the Usher Syndrome Coalition as your charity of choice! A broad alliance of institutions presents the 4th International Scientific Symposium on Usher Syndrome and the 10th Annual USH Connections Conference at the Atrium Hotel Conference Centre in Mainz, Germany, just a 20-minute train ride from the Frankfurt Airport. Click here for more information. Online registration coming soon. In 2016, Coalition Board Director Danay Trest submitted a proclamation request to Mississippi Governor Phil Bryant, who recognized Saturday, September 17, 2016 as Usher Syndrome Awareness Day. Danay did it again during the 2017 Own the Equinox challenge and successfully guided others to make proclamations in their states and towns. Way to go, USH Family! Together, we can recognize Usher Syndrome Awareness Day in all 50 states. Please consider requesting proclamations in your state or town in 2018. Find instructions here. HAVE YOU TAKEN YOUR 2017 IRA REQUIRED MINIMUM DISTRIBUTION (RMD) YET? If you are 70½ years old or older, you can take advantage of a simple way to benefit the Usher Syndrome Coalition and receive tax benefits in return. You can give up to $100,000 from your IRA directly to a qualified charity such as ours without having to pay income taxes on the gift.